A new calculator developed by Oak Ridge National Laboratory can identify air leaks throughout a building’s envelope, demonstrating the energy-savings potential in airtight building construction. July 5, 2017 - A new tool developed at Oak Ridge National Laboratory can help homeowners and builders calculate energy loss when air leaks through a building’s envelope, the physical barrier separating the interior and exterior. 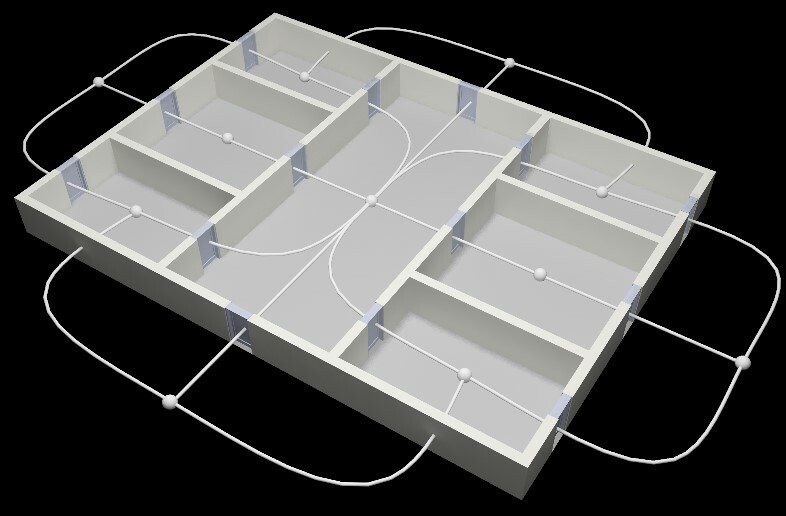 Starting with specific building metrics, the calculator analyzes multizone airflow and ventilation and then determines the associated energy loss through a whole building energy simulation tool. “Air leaks are responsible for over four percent of all energy used in the United States,” ORNL’s Som Shrestha said. “This energy-savings calculator can demonstrate the benefit of constructing airtight buildings.” The free, web-based tool was developed in conjunction with the Air Barrier Association of America and the National Institute of Standards and Technology.